Dinosaur Comics - December 23rd, 2014 - awesome fun times! 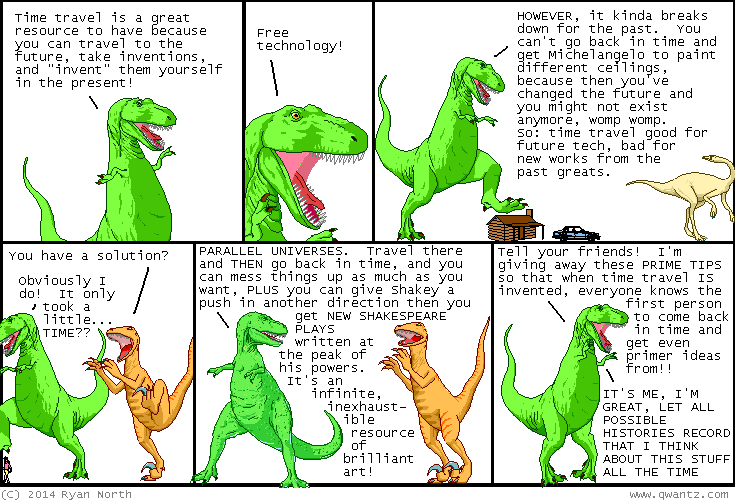 December 23rd, 2014: AKA: The origin of why T-Rex goes through time to hassle Shakespeare on the regular?? One year ago today: did you ever want to program your own computer game? here are six panels that will help with that POSSIBLY? ?